The Action Plan sets goals and provides a structured timetable for the reduction of the environmental impacts identified in the Environmental Review. The Action Plan is the core of the Eco-Schools programme. It is a timetabled series of specific goals for improvement over a fixed time scale. Quantifiable targets should be set where possible e.g. 50% reduction in waste in 6 months; 100% recycling of plastic bottles in 8 months; 10% reduction on electricity consumption from previous year, etc. Using our map and road-trip analogy, the action plan is our route planner, giving the finer details on how we aim to reach our destination. It should always be developed from the results of the Environmental Review. The sample Action Plan excerpt given describes the actions taken by a school to achieve their goal (i.e. recycle all plastic bottles sold in the school by June of that year) in a clearly defined step by step process. The Action Plan should be linked to curriculum work and have realistic and achievable goals. These goals should be specific and quantifiable where possible, with proposed completion dates that will show real success. Do not be tempted to be too ambitious at first as failure is very demotivating! It is crucial to work out how you will monitor and measure your progress and this should be integrated into your action plan. Try to involve all the committee members in the development of the action plan, and as much of the school as possible in its implementation. Top Tip: The Action Plan is not a review of the work that has already been carried out, but a list of future targets and goals of your programme and a detailed description of the actions to be implemented (and by whom) within specific time frames in order to achieve those goals and targets. Include regular monitoring and be updated if and when necessary. The Eco-Schools topics compliment many of the United Nation's 17 Sustainable Development Goals. Once you have chosen your 3 topics try linking them to an SDG in your Action Plan (see how the topics fit with the SDGs). 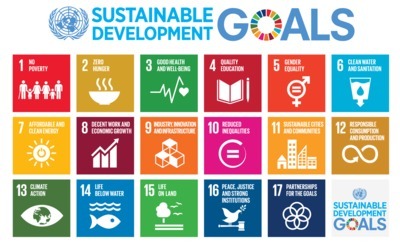 For more information on the SDGs and useful resources visit the Sustainable Development Goals page.